1. 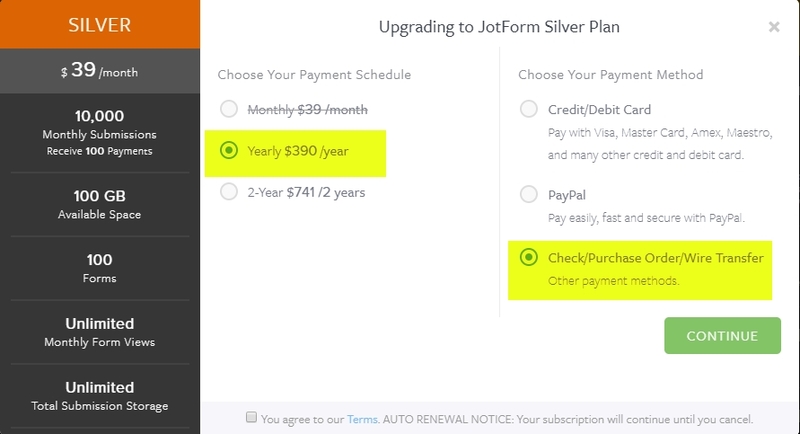 Go to the Pricing page, click the Upgrade button to your preferred plan. 2. 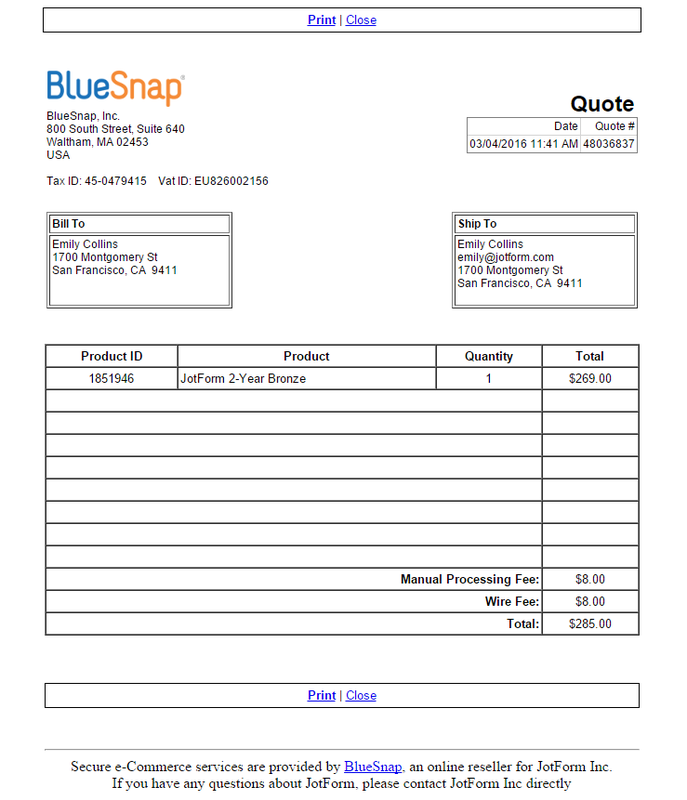 Select the Check/Purchase Order/Wire Transfer option in the Payment Method(s). 3. Click the "Continue" button. This will open a new window for providing your personal and/or customer information. 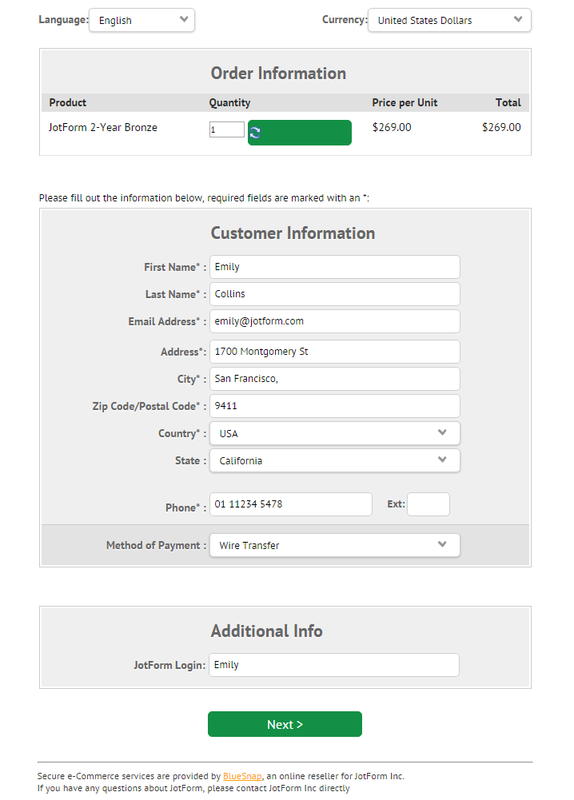 Make sure to tell your bank to include the Reference Number that the system generates, with the wire payment. 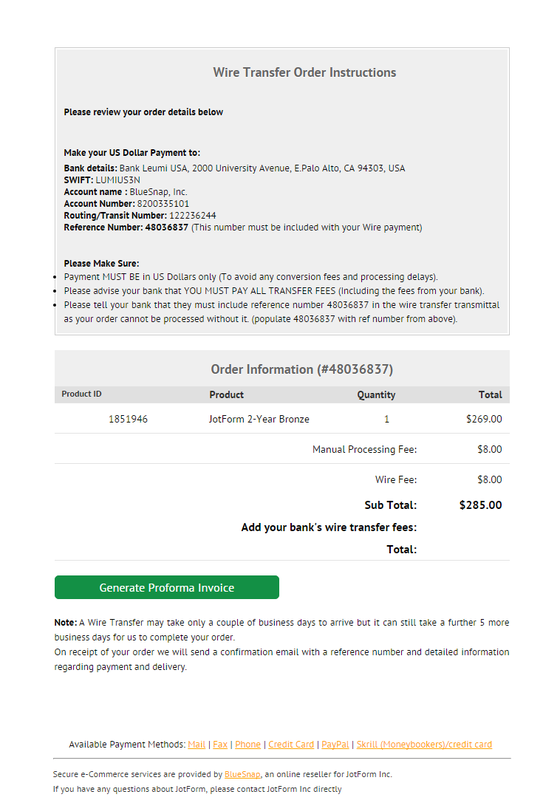 Wire Transfer Order is considered a manual payment. We do not give a timeframe for this type of payment. You must strictly follow the Wire Transfer Order instructions. We cannot upgrade the account until the payment is cleared. Whenever i click upgrade, it just says i'm now upgraded and my credit card got charge. The wire transfer order did not appear. How we know the payment has been received or not?